Analysis of lubricants, hydraulic fluids, oil additives and base oils to the highest standards, for the aviation, industrial, automotive and marine industries. 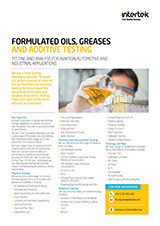 Intertek’s lubricating oil, hydraulic fluid, base oil and oil additive testing capabilities can support formulators, OEMs and equipment operators with their testing and analysis needs from product development and qualification through to quality control and in-service analysis. Before lubricants are sold and used in equipment they must usually meet demanding specifications set by industry bodies and OEMs, designed to test the suitability of the product for the relevant application. In addition, further testing above and beyond these specifications may be required in certain scenarios, or else non-routine analysis or modified test methods may be of interest for research purposes. Once in service, oils can be subjected to highly variable conditions depending on the usage pattern and environment faced. Studying the condition of the oil is important to judge if the oil is still capable of performing as it should and can also be a useful tool to help assess the condition of the system as a whole. When problems do occur, analysis of the oil and contaminants can be used to help trace failures in the equipment. Intertek’s laboratory is ISO 17025 accredited and can provide testing to a variety of specifications to meet our clients’ needs, including ASTM, IP, CEC, SAE, UK Defence Standards, US Federal Standards, and US Military Specifications. Additionally we can offer bespoke analysis and custom troubleshooting to satisfy customer requirements. Our capabilities are continually expanding with investment in new testing methods such as CEC L-109 Oxidation testing, in response to the changing composition of diesel fuels in the market. 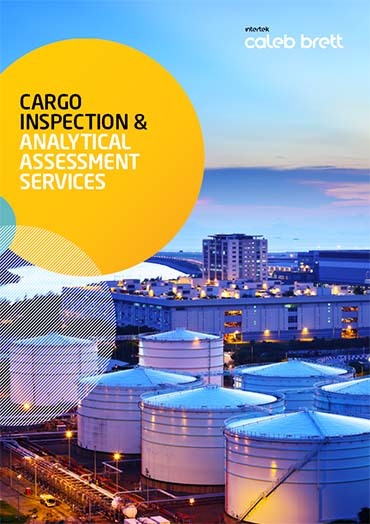 Intertek’s expertise in analysis of oils, hydraulic fluids, base oils and oil additives coupled with access to state-of-the-art testing facilities ensures our clients total quality assurance needs are met and their operations are able to run smoothly.